Hiking – Is getting out in the mountains your idea of bliss? If so, you’re going to love Charlottesville’s proximity to the Blue Ridge Mountains. The access to the Shenandoah National Park and trailheads for the Appalachian Trail are as close as a 30 minute drive from downtown. 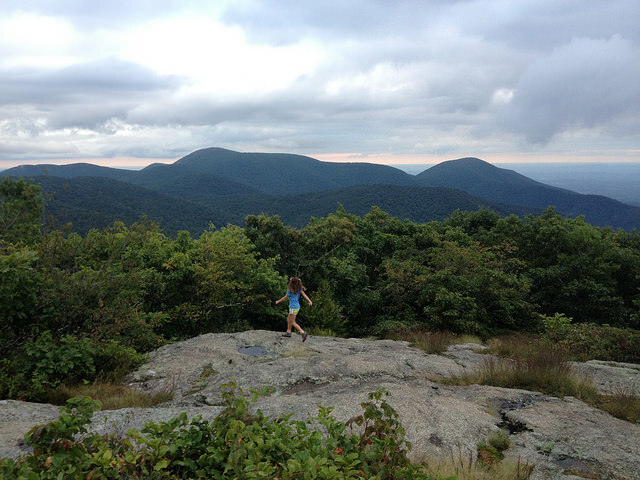 Pack up your family and head to Humpback Rocks (el. 3,080’) for an easier hike or go further afield and tackle Old Rag (el. 3,284’). These are some of my favorite hikes in the Charlottesville area, and Comfort in the Wild is one of my favorite Charlottesville hiking blogs. Closer in, check out the Ivy Creek Natural Area, which has a series of trails looping around one of the area’s reservoirs, for a total of six miles of trails. You can go for a short walk in the woods or spend an entire day exploring the area. Take your binoculars because the wildlife sightings will be plentiful. If you need advice about local hikes, pop into Blue Ridge Mountain Sports, a locally owned store staffed by folks who know the areas trails and mountains well. They can help you with maps and gear and answer any questions you might have.